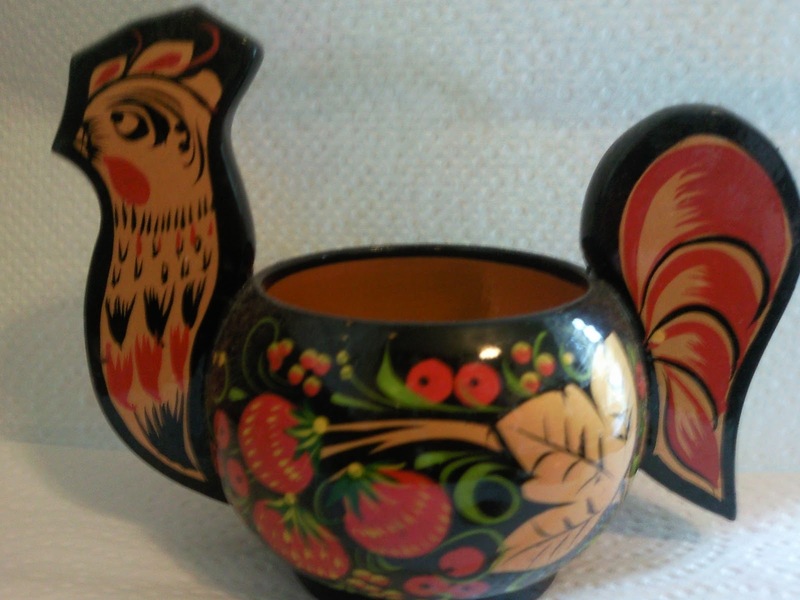 This little gem of my chicken collection came to me last year all the way from Moscow, when a friend travelled there. I think she may be an egg cup, as she's only a couple of inches tall. 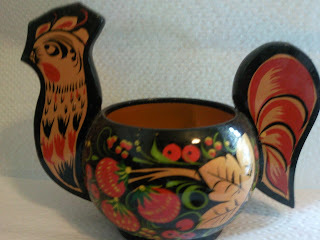 I love how she's lacquered inside and out, and the beautiful fruity design. Isn't she a beauty? I love my little курица !